Fyre Festival, for many, embodied a dream come true. A luxury music festival on the white sand beaches of the Bahamas surrounded by the kinds of people you only ever get to see on television. Unfortunately, for the thousands of ticket holders, this dream came crashing down as soon as they arrived. The success and popularity of Fyre Festival in the months prior was extraordinarily notable. Excellent video production, sponsorship and social media strategies fed an idealistic product to the many consumers that bought in to it’s lure. Videos featuring world class models partying on yachts and beaches, trademarked logos and subsequent promotional content were shared by social media influencers and stars such as Kendall Jenner. This promotion led to a mass interest and obsession by the public. Tickets varying in price from $1,500 to $25,000 sold out nearly immediately. It’s success is most intriguing as even up until the day of the festival, these images which were still being sold, consumed and glorified widely, were mostly fabricated and untrue. Netflix’s new documentary entitled “Fyre, the greatest party that never happened” captures the online rise, and real life fall of the planned music festival Fyre which was organised by Ja Rule and Billy McFarland in 2017. The festival however, as the title suggests, never occurred due to mass negligence in promotion, sales and organisation, mainly by those in decision making positions such as Rule, and McFarland. The main issue that the documentary focuses on is the lack of balance between expectations and the reality of the festival. Ticket holders paid thousands for private sea side villas and yachts, luxury camping, gourmet food and world class acts. On April 27 2017, the first day, of the festival, staff knew that the site was nowhere near ready to house thousands of people, never mind in a ‘luxury’ accomodations. Acts like Blink-182 had dropped out of the line up due to their concerns about the event. Staff were struggling to complete construction of tents, stages, food stalls and bathrooms. Ticket holders were immediately disappointed by their economy flights, and yellow school bus transfers to a populated village in the Bahamas, after paying for private jets and the use of a private island. The root of the disaster was inevitably, Billy McFarland. From the onset McFarland, and Ja Rule had big ideas for Fyre, ones which would be costly but which they thought would earned back in ten folds. However despite pumping millions into the festival, they were unable to fulfill the conditions and the ticket numbers they had sold. McFarland admitted to resorting to defrauding investors of $26 million for the festival. He also admitted to carrying out a fraudulent ticket selling scheme. 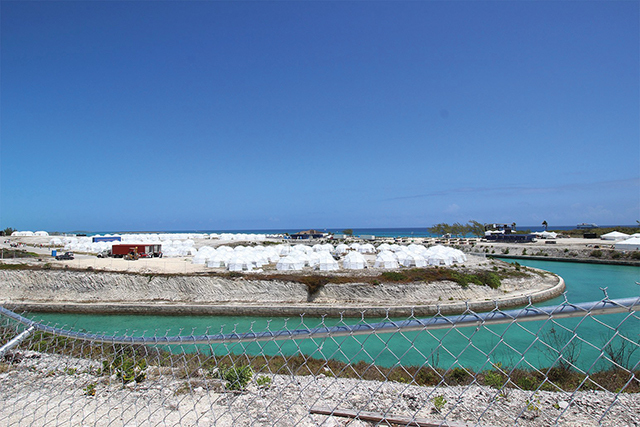 McFarland is currently serving time in prison for his crimes relating to Fyre. Although, the blame is also being placed on those who promoted the event on their social media, as models such as Bella Hadid and Kendall Jenner are currently under investigation by the US Bankruptcy Court. Fyre had failed to become the Festival it had promised, but it did succeed in demonstrating how powerful social media, and a talented promotional team can be.